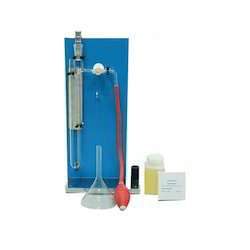 Prominent & Leading Manufacturer from New Delhi, we offer ball mill, laboratory cement autoclave, flow table (hand operated), gauging trowel, blain air permeability apparatus and humidity chamber. Ball Mill we offer is used for dispersion of enamels and primers. Our offered mill is manufactured under the guidance of proficient professionals consists of a hollow cylindrical shell rotating about its axis in sync with industry norms. 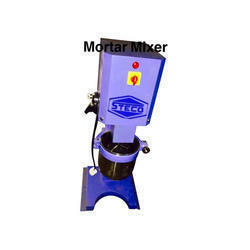 Owing to its varied features, this mill is appreciated in the market. Inside chamber dimensions 15 cm dia x 40.5cm height. consist of sensitive pressure regulator, pressure gauge, safety valve, temperature control s witch, power ON-OFF switch and pilot lights to indicate status of the electric heating units and control switches. The Flow Table determining the flow of Portland cement concrete. 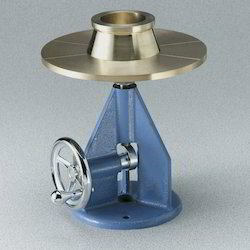 Consists of flow table a top 76.2 cms (30") dia, finely machined from solid brass/gunmetal casting. The stand is fabricated out of cast iron/mild steel and is of study construction. 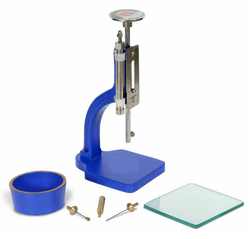 The ground and hardened steel cam is designed to drop the table by 12.5 mm. complete with flow mould with handles with one tamping rod 0-60 cms long X 16 mm dia. Electrically operated to raise and drop the table top. Approx. 15 times in 15 seconds. Suitable for operation on 230 volts, 50 cycles, A.C. Supply. Gauging Trowel we offered trowel manufactured using high grade carbon steel blade and the latest technology by adroit professionals. Used in agricultural and construction sectors to pick sand, this trowel is available in variegated sizes and specifications. 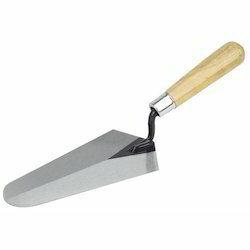 Apart from this, customers can avail this trowel from us at market leading prices. 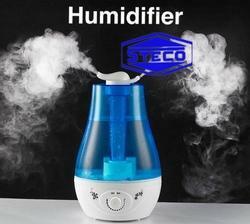 Low pressure Boiler which generates steam for chamber humidification. 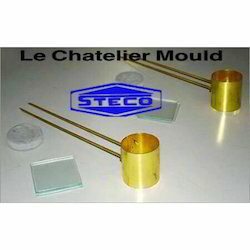 Water bath capable of containing immersed Le-Chatlier moulds with specimens and of raising their temperature from 27' deg _ 2'deg C to boiling in 27 /- 3 minutes. It is used to measure the drying shrinkage of auto claved Portland cement and potential expansive reactivity of Cement aggregate combinations in mortar bars during storage on self-drying. 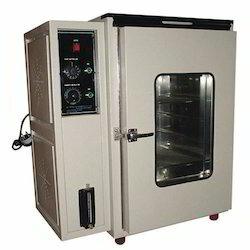 Low-Temperature Cabinet we offered is manufactured for corrosive atmosphere negating the chances of fumes entering the unit using the finest quality stainless steel and modern technology in line with industry norms. 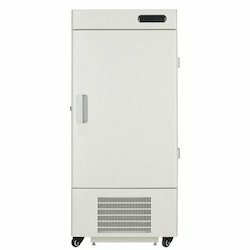 HP or LP switch provided to high or low pressure cut off, provided cabinet is available in different designs and specifications. Temperature deviation high and low. MS with powder coated / SS 304. Double walled door inner lined with SS, SS handle, lock with key and magnetic gasket. Material Stainless steel with wooden handle. Width of blade 2.5 cm appropriate thickness. Size of blade 20 cm long. By keeping track of current market development, we are offering an excellent range of Standard Spatula. 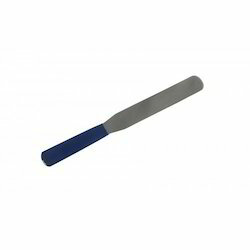 Used while casting a cement briquette, this spatula is manufactured using the best quality steel blade and modern technology in sync with industry standards. A wooden handle is fixed to the stem of blade, this spatula is quality checked on various parameters in order to ensure its quality. 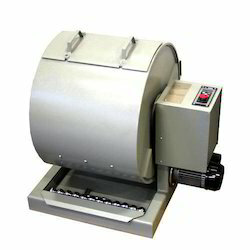 The machine consists of a vibrating frame assembly and an electric motor mounted on a sturdy base. The complete frame assembly consists of a vice to hold a 7.06cm cube mould and two studs threaded at top and a hopper to feed the sample in the mould. This assembly is supported on four springs and has an in built rotating shaft which rotates eccentrically and thus imparts vibrations to the entire frame. A balance weight is an integral bottom part of the frame. The centre of gravity of the assembly is brought to the centre of the eccentric shaft within a distance of 25mm below it. 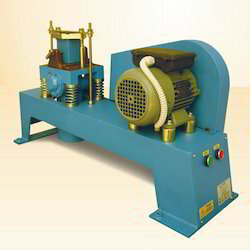 The electric motor drives the shaft of the frame and thus imparts required vibration to the moulds. The frequency of vibration is 12000 +/- 400 Vibration Per Minute. Supplied complete with on 7.06 cm Cube Mould with loose base plate, a time switch 0-5mins x 1mm. 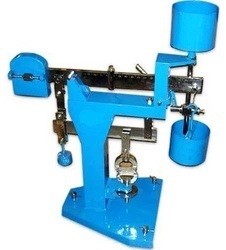 We are well known industry in market as the foremost manufacturer, trader and supplier of Tensile (Briquette) Testing Machine that is used for testing various materials like rubber, plastic and cable. The offered testing machine is manufactured using optimum quality components and sophisticated technology in line with industry standards. 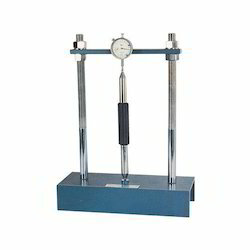 Available with steel yard having double scale, this testing machine is checked on varied quality measures so as to maintain its quality. A.C. supply. Complete with one brass briquette mould and one base plate. 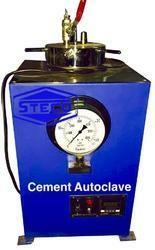 Looking for Cement Testing Equipments ?